In fact, many Australian businesses don’t have the skilled workforce, corporate culture or processes in place to compete in the highly digitised global market, the report said. “While having the right digital platforms is critical, it fails to address knowledge gaps in the development, deployment, application and management of these platforms, Optus Business’ managing director, John Paitaridis said. The report said that without collaborative planning by enterprise, academia and government, Australia risks widening its ingenuity gap. Paitaridis said that to close these gaps, Australian enterprises and academia must share the responsibility for preparing the workforce for a digitally-driven future. “Across the next three years, we anticipate big changes when it comes to emerging industries such as cyber security, artificial intelligence, the internet of things, application programming interfaces and next-generation technologies," he said. Paitaridis urged Australian organisations to prioritise the reskilling of their existing staff to ensure that they do not get left behind. Meanwhile, cyber security, artificial intelligence, the internet-of-things application programming interfaces, and big data technologies are expected to drive the biggest changes in the next three years. 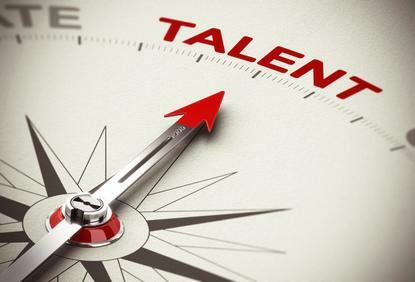 Recruiting and reskilling staff in these areas needs to be an immediate focus to unlock the value they bring, the report said. Australian business should mandate the use of digital collaboration tools that enable the sharing of knowledge and communication across the entire business. Doing so, will allow them to seamlessly communicate and share information and make smarter and faster decisions. Currently, only 22 per cent of businesses do this in Australia, the report found. Leveraging data insights to make business decisions in real time is another untapped opportunity. Thirty-four per cent of businesses responding to the report are already using machine learning to analyse data and drive decisions with almost two-thirds using pre-set reporting systems. As a result, staff are not empowered to make informed decisions at the speed that they need to, the report said.